What do you think our future clients should know about the experience you had with us? I found out about Lenny and Melissa on Instagram. They were giving away an engagement and wedding photography package. I signed up hopeful but, with no expectation to win. I didn't even tell my fiance much about the giveaway at all. Although we didn't win the giveaway Lenny and Melissa reached out to us interested in working with us. We did a video call and both my fiance and I vibed with them from the beginning! They were lighthearted and funny and interested in us a couple and not just securing a job. The engagement shoot only cemented our feelings about Lenny and Melissa. They kept us going! They made us so comfortable that we laughed pretty much throughout our entire session. Not only that but they were able to capture our true essence as couple in each photograph. 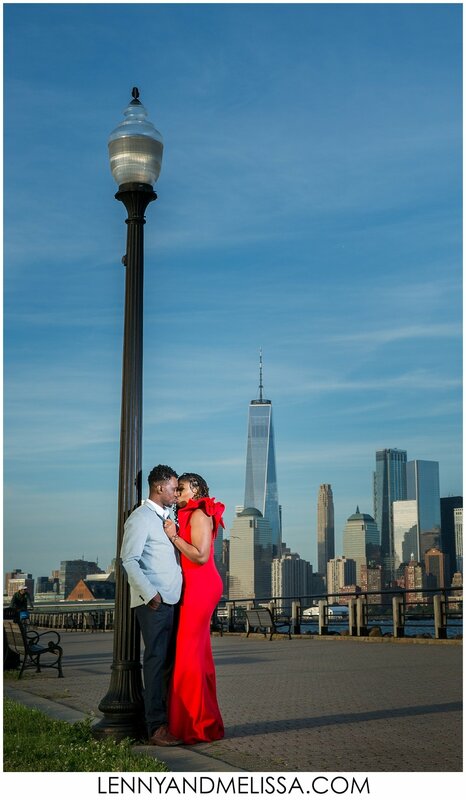 We are anxiously awaiting our wedding day to shoot again with Lenny & Melissa and create new memories with them. 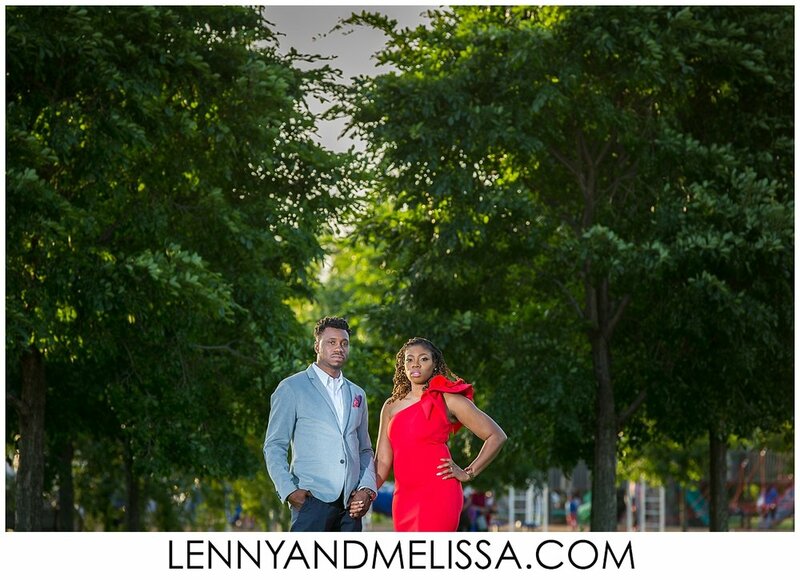 Future clients should know that they can be at ease when working with Lenny & Melissa. You are in perfect hands! They will encourage you to be yourself and bring out the best parts of you and your partner through their photos. While looking at our photos again at home both Kelvin and I agree that you guys were able to see us completely! They all look so natural, happy and in love. Be prepared to be blown away! Lenny & Melissa made us feel so comfortable throughout the entire session. We are a really upbeat couple and they were able to keep us laughing and smiling. It was honestly like a group of friends going to hang out for the day sharing inside jokes with one another. To be completely honest the most memorable part of the session had noting to do with Kelvin and I. At the last minute our babysitting plans fell through and we had to bring our youngest child with us. Melissa kept our little one occupied; played with him and kept an eye on him when we were shooting. In between takes Lenny would run with him and snap pics of him. What we thought would be an annoyance for our photographers they handled with no issue at all. They embraced our overly energetic (almost) 3 year old with no problem at all and still made us feel comfortable and made us laugh. They cared not just about the work but about our family as well! I just hoped that I didn't spoil the pictures. I (Shalanda) don't think that I'm that photogenic so I was terrified that the pictures wouldn't look good. In fact, I think that's one of the first things that I told Melissa when we started shooting. I didn't expect much of the photos at all I just knew we had a good time while shooting so that was fine with me. When we walked into the studio the first picture on the screen blew us both away. Shalanda literally squealed with excitement. Our photos were AMAZING! This is no exaggeration. They were absolutely amazing! Every angle, every shot all of it was just amazing! Seeing the engagement photos have us soo excited for our wedding day! After the session and photo reveal we are over the moon excited for the wedding day to take pictures! Kelvin is more interested in the wedding photos than going cake tasting.